Now that gifts have been given and unwrapped, that you’ve stuffed yourself silly with the most delicious food around , drank loads of Bailey’s and enjoyed quality time with loved ones over the Christmas holidays, it’s time to start thinking about New Year’s Eve celebrations if you haven’t already. If you’d rather avoid the craze and stay in on December 31st, there’s always the good old house party with friends and fam. 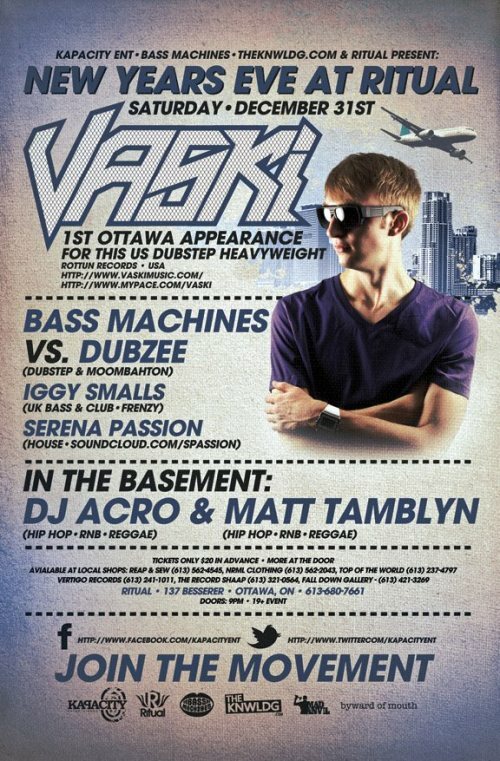 Or, if you want to venture out and finish off 2011 with a bang, I recommend that you dance the night away at one of Ottawa’s most-attended clubs by taking part in the below festivities that are sure to be memorable…On nights like these, I wish I could split myself in four! Note the amazing The Weeknd theme. That alone makes it worth going. 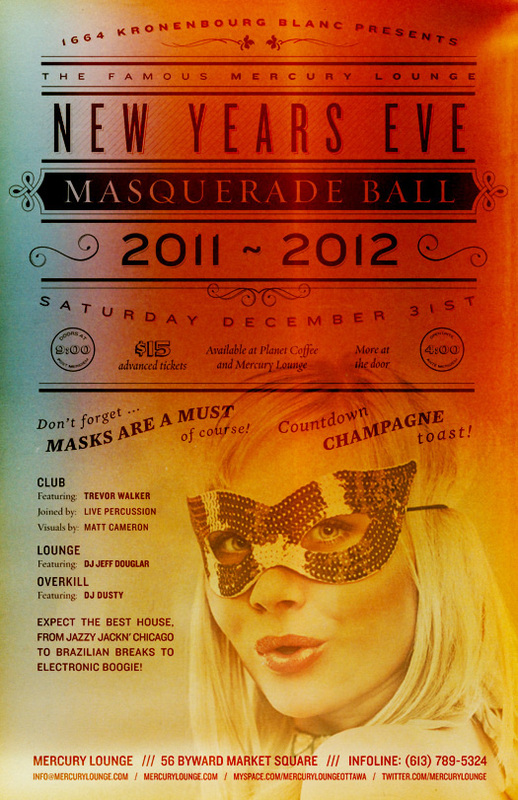 For an equally entertaining night in a more intimate venue with an older crowd, you should try the Mercury Lounge’s New Year’s Eve Masquerade Ball with DJ Jeff Douglar in the club, Trevor Walker in the lounge and DJ Dusty at Overkill. According to the Mercury Lounge you can expect the best house, from jazzy jackn’ Chicago to Brazilian Breaks to Electronic boogie! For a grander affair, the Blue Man Group will be at the NAC to ring in the new year. You can combine the show with dinner on the town and make a full night out of it! I’ve always been intrigued by this one-of-a-kind show and I’m sure it doesn’t dissapoint. 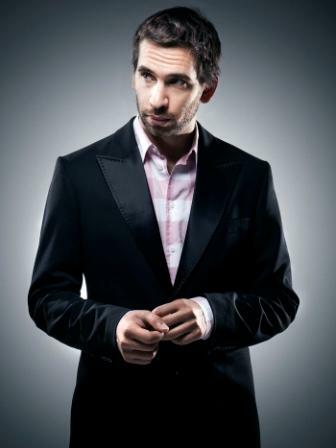 For my Outaouais friends who prefer staying on the Quebec side, there’s no better place than Le Petit Chicago to celebrate the start of 2012 to the beats of Montreal-DJ Ghislain Poirier no less. The only show-bar in Old Hull will offer a fiesta that is guaranteed to have you jamming all night! Plus for $10, you got yourself a pretty damn good deal! 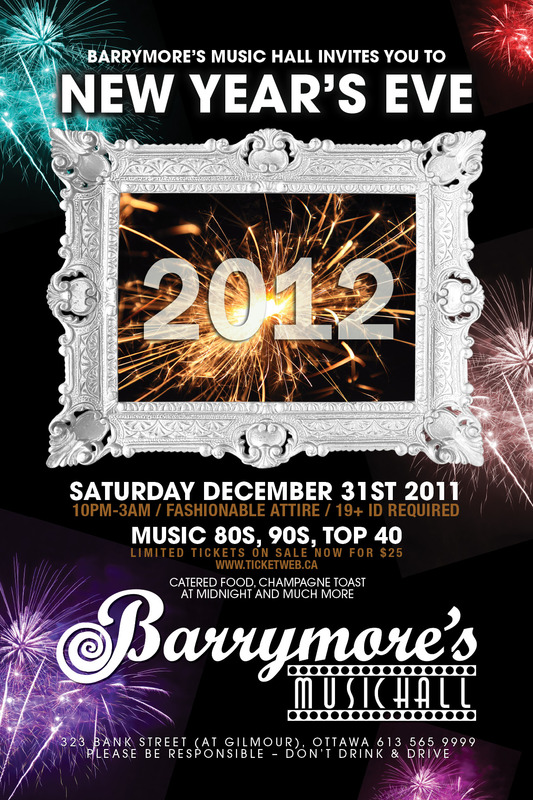 Last but not least, the newly-renovated Barrymore’s Music Hall is throwing its annual NYE Party complete with catered food, champagne and music from the 80s, 90s and Top 40 hits. Whatever you end up doing to celebrate the end of 2011 and the start of the new year, enjoy the festivities to the fullest, be safe and please don’t drink and drive! 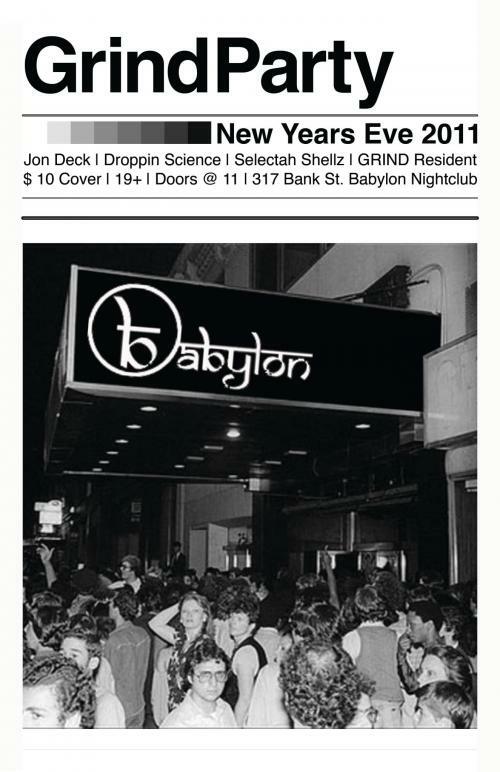 Happy New Year 2012! Mike Matheson grew up in Ottawa and is the founder of iPricedit.com, a new website that lets you name the price for tickets to live entertainment. Have you ever said to yourself “I’d go see that show, but not for that price”? That’s where iPricedit.com comes in … by letting you name your own price for tickets to some of the best shows in town. If we can get you in for that price, then you’re in. If not, it doesn’t cost you anything. 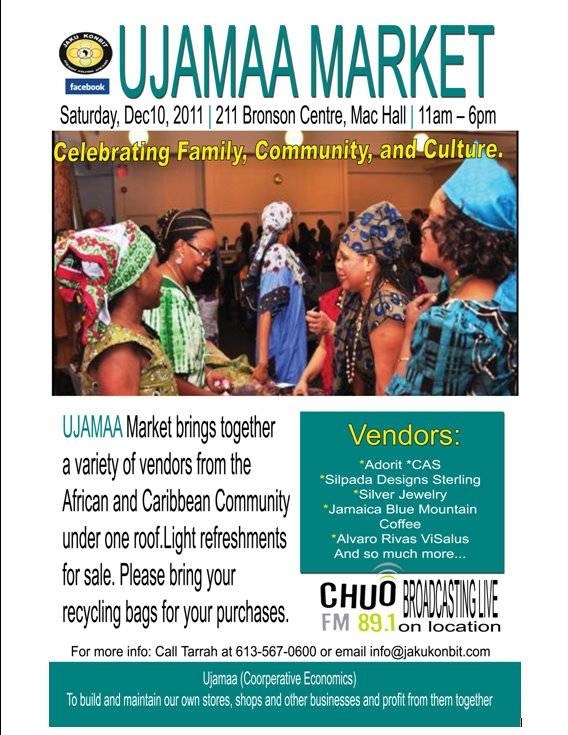 At its core iPricedit.com is designed to help more people enjoy more of the great live entertainment that Ottawa has. We work directly with the show’s organizers and try to put as many shows on the site as possible. 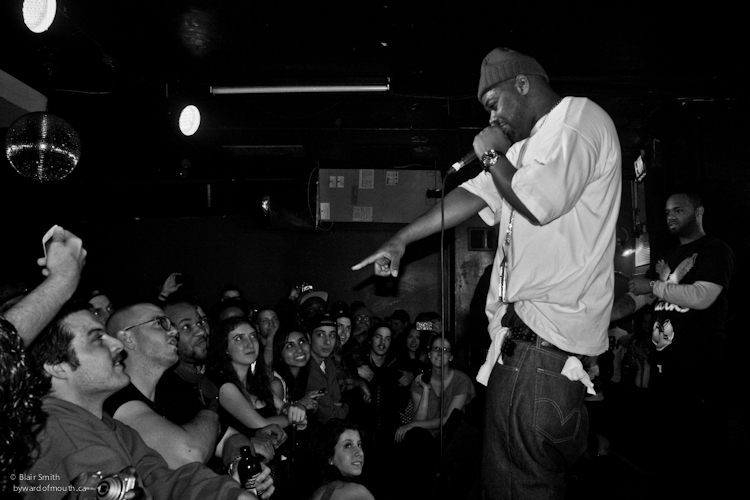 Ghostface Killah of the legendary Wu-Tang Clan was in Canada for the first time in over 14 years. Ottawa was the only city in his tour to experience 2 back-to-back sold out shows. 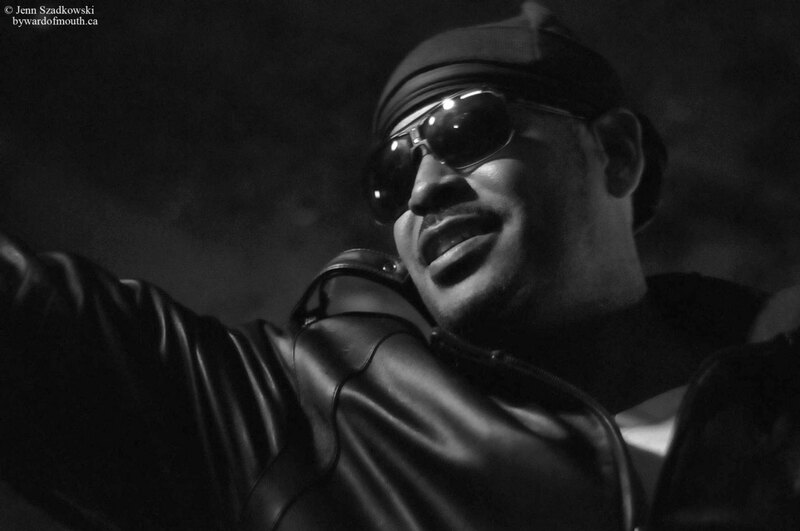 The clan veteran was accompanied by Sheek Louch of the mighty D-Block, Killah Priestand several members of the Theodore unit and the Gods did not disappoint the high expectations that the National Capital had for them. The show was incredible, featuring all the Wu classics from over the years as well as hidden Ghostface gems and more. The bywarofmouth team was on site both nights, so if you missed out on this one of a kind piece of Canadian musical history don’t worry – check out our exclusive interview below. For this entry, I sat down with a nice big glass of Amarula on ice (a South African drink made of marula fruit and cream, sort of like an exotic version of Baileys for those of you who are unfamiliar with it) to get into full holiday mood. To be quiet honest, I’m already in the holiday spirit despite the lack of snow (that white stuff that we love to hate) in the National Capital Region, since I had the privilege of attending George Balanchine’s The Nutcracker Ballet presented at the National Arts Centre (NAC) last weekend. There’s really nothing better than this classic holiday story combined with Tchaikovsky’s beautiful music to get you into the Christmas spirit! This particular version of The Nutcracker was ever-so beautiful and colourful! The dancers were extremely gracious and perfect in their roles. Balachine’s costumes and decor were simply splendid, bringing the story to life from beginning to end. 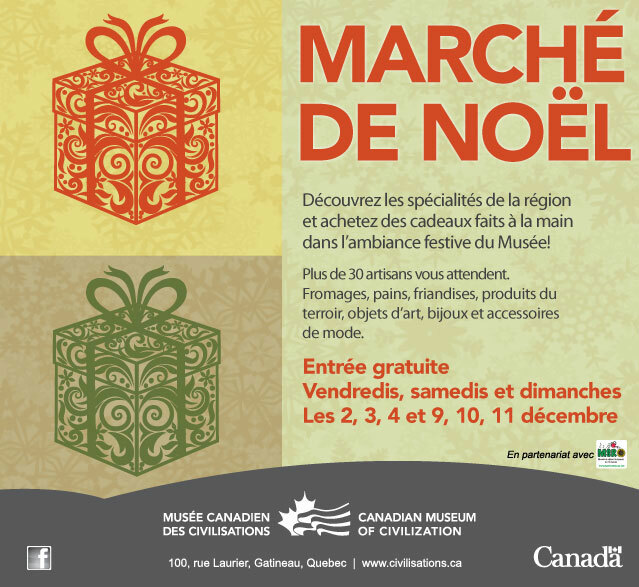 A yearly must if you love the Holiday Season! 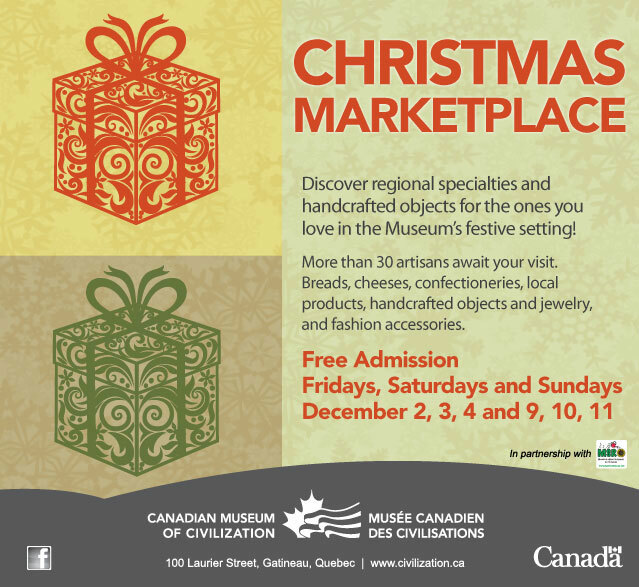 This weekend and the next, if you’re looking to get into the Christmas spirit or simply looking for unique gift ideas for friends and fam, you should check out Christmas markets in and around the Capital like the one below taking place at the Museum of Civilization just across the river! 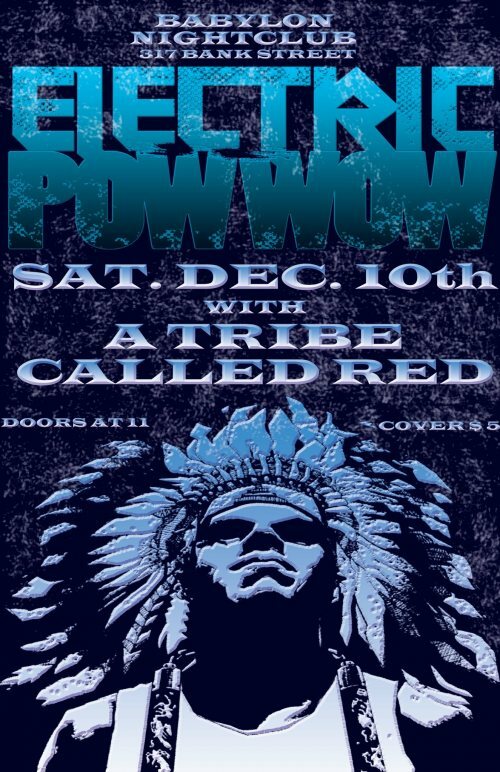 Last but not least, this Saturday, I’m headed to my favorite night at Babylon, with some of the best Djs in Ottawa, the boys from Tribe Called Red for the Decembeeerrrr Edition of the Electric Pow-Wow! This is a guaranteed night of amazing music and tons of dancing 🙂 Always looking forward to it!